Singleton Primary School librarian Joan Farmer. Photo by Tex Reeks. 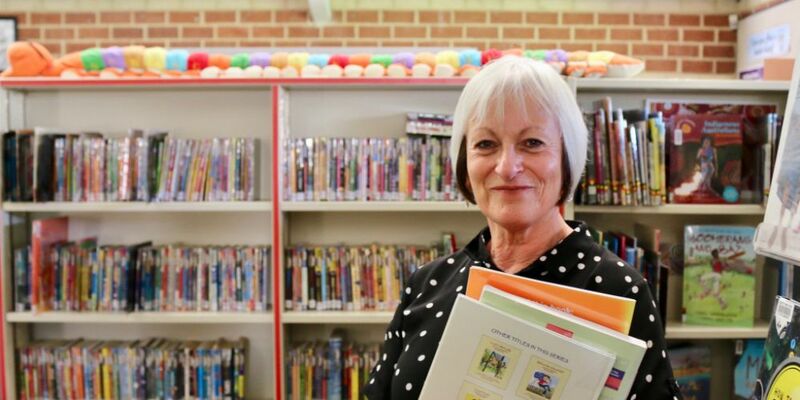 SINGLETON Primary School librarian Joan Farmer retires tomorrow after 20 years. Mrs Farmer was a parent at the school when it opened in 1997. She became a volunteer, working one day a week and eventually the role turned into a full-time position. Mrs Farmer aimed to make the library a safe and fun place for students to go. “The children have kept me young,” she said. Mrs Farmer worked closely with the school chaplain. “Some children have life issues they need to open up about, to someone who isn’t a teacher and isn’t going to tell them what to do but just to listen and be there for them,” she said. “Just letting children know that you care about them and that they matter is really important. “So saying hello every time you see them, acknowledging that they’re a person and that they have feelings. “I think what we have to remember is kids aren’t growing into a life, they’re living their life now. Mrs Farmer introduced the Breakfast Club about 10 years ago for children. She also introduced Quiet Time about 13 years ago to encourage relaxation. For 15 minutes after lunch children listen to calm music over the school PA and are often told a story. Principal Nicky Tucker said Mrs Farmer had been invaluable to students and staff. “Her passion for reading, pastoral care and helping all those who pass through the library doors is nothing short of amazing,” she said.